SINGAPORE, 26 JANUARY 2019 – Balestier Khalsa confirmed on Saturday afternoon that head coach Marko Kraljevic has departed the club to lead Malaysian outfit Kelantan FA. The 53-year-old German-Croat will take up the challenge of leading the The Red Warriors back to the Malaysian Super League after they were relegated last season. 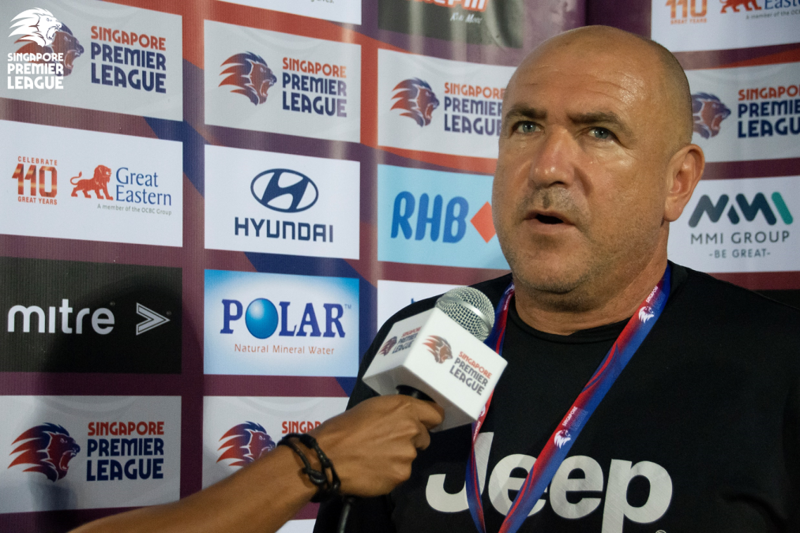 Kraljevic, who played for Balestier from 1996 to 1998, had coached the club’s Prime League side during his coaching career before he took up the head coach role at the start of the 2014 SPL (then S.League) season. The Dusseldorf native promptly led the Tigers to their first ever Singapore Cup triumph that year and was named Coach of the Year. Qualification for the 2015 Asian Football Confederation (AFC) Cup was achieved, marking the club’s first foray into continental competition. He fills the void vacated by Yusri Che Lah, who left to head Kuala Lumpur FA last month and becomes the second coach to depart the SPL for Malaysia after Home United’s Aidil Sharin was appointed head coach of Kedah FA last October. The club also indicated that they will make an announcement on Kraljevic’s replacement in the coming days.